We have two separate affiliate programs. You can belong to either one or both - both pay 50% on all digital products. Our main affiliate program is with 1shoppingcart - see the signup link below. 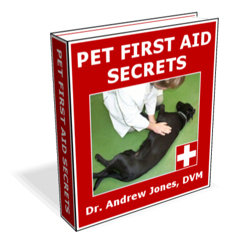 We sell several products through 1shoppingcart, including the Veterinary Secrets Revealed Complete Home Study Course (a physical package we ship that includes a manual, CDs, DVD) that currently sells for $297. We will be adding additional courses in the near future. The benefit of 1shoppingcart is that you will be credited for the sale of any of our products that a customer buys through 1shoppingcart, even if you haven't promoted it directly. For affiliate tools, please sign up with 1shoppingcart and login to your affiliate account. You will get access to reports (text and pdf) and graphics. Thank you! If you have any questions, please email the webmaster.